Happy Colors is a young producer from Santo Domingo, Dominican Republic (based in Miami, tho) who tries to redefine the Twerk and Bass scene without losing his heritage. The 5 track EP display a good variety of Latin inspired tracks with a new bass twist. 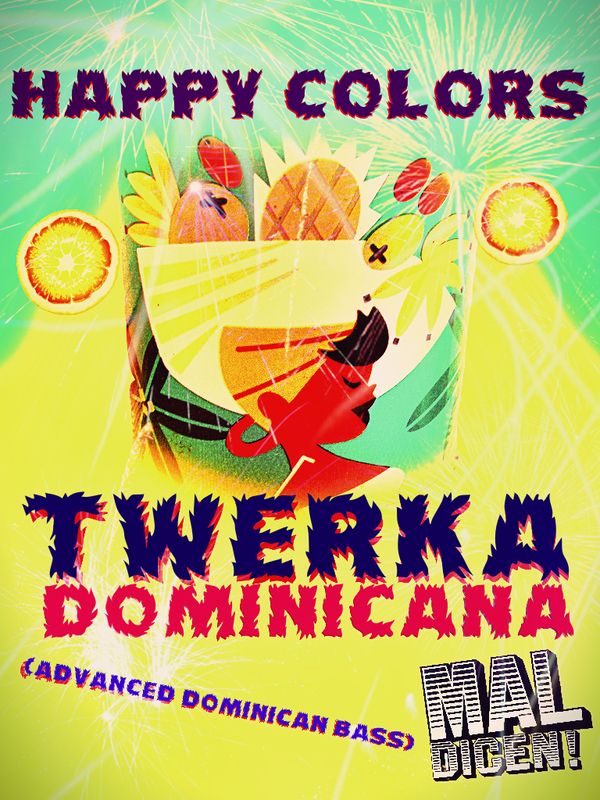 Latino Resiste is proud to present Twerka Dominicana ( Advanced Dominican Bass) for FREE. Inside you will find this tune! This Nu Mambo is a blast which ALSO is inside the EP!! Now, because we love Dominican Republic stuff, and these guys are absolutely insane!!! Plus we have been dropping some of the craziest Dominican EPs around.. so in case you have missed them..
here it is a recap! !